Explanation: Why is there a blue bridge of stars across the center of this galaxy cluster? First and foremost the cluster, designated SDSS J1531+3414, contains many large yellow elliptical galaxies. 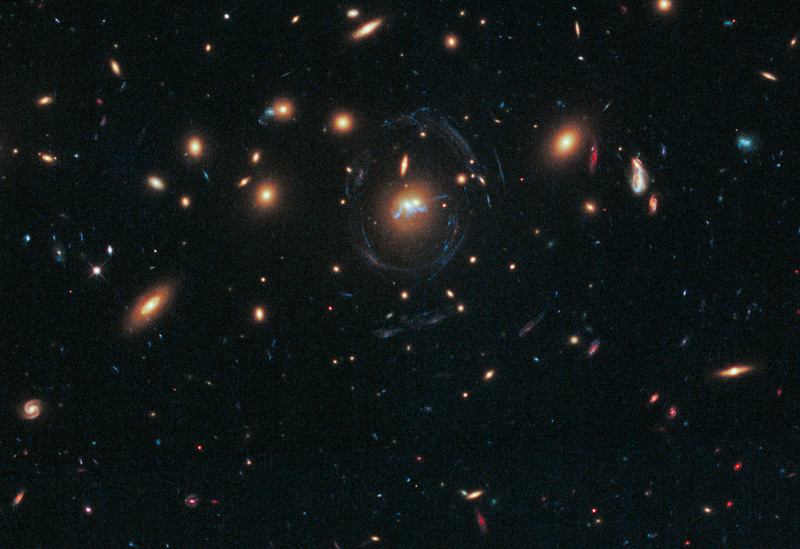 The cluster's center, as pictured above by the Hubble Space Telescope, is surrounded by many unusual, thin, and curving blue filaments that are actually galaxies far in the distance whose images have become magnified and elongated by the gravitational lens effect of the massive cluster. 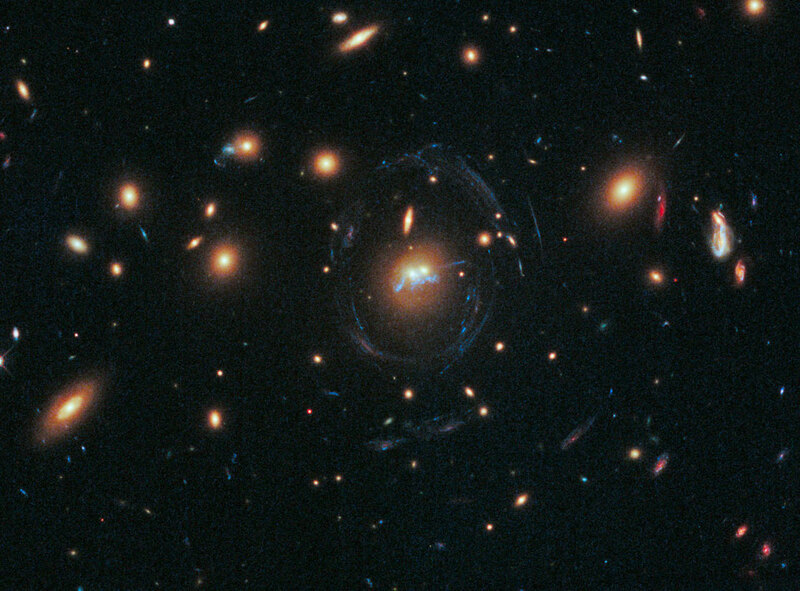 More unusual, however, is a squiggly blue filament near the two large elliptical galaxies at the cluster center. Close inspection of the filament indicates that it is most likely a bridge created by tidal effects between the two merging central elliptical galaxies rather than a background galaxy with an image distorted by gravitational lensing. The knots in the bridge are condensation regions that glow blue from the light of massive young stars. The central cluster region will likely undergo continued study as its uniqueness makes it an interesting laboratory of star formation.